PRICED TO SELL!! 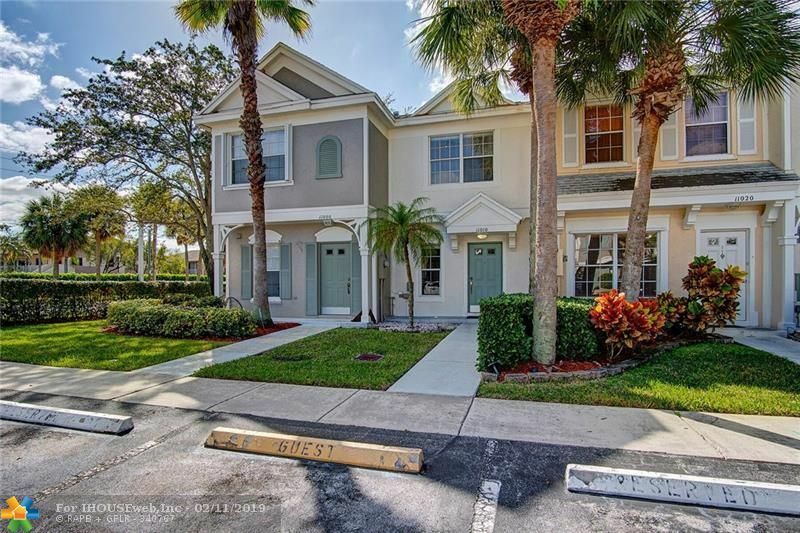 2 bed, 1.5 bath Townhome overlooking pool & recreation area in private alcove community of Sanibel. Tile flooring in living area, laminate on stairs, hall & bedrooms. Nest thermostat & fire detector. Stackable washer/dryer in unit, screened porch, extra storage room and hurricane shutters. Amenities include, pool, basketball courts, tennis courts, volley ball & children's play area. Easy access to highway, close to athletic center, BB&T center, shopping, restaurants & parks. This development has LOW HOA and is PET & INVESTOR FRIENDLY!! Bring your best offer - these units go quickly!! A MUST SEE!! Directions: McNab West To NW 108 Terrace, Make Right And Tarpon Bay Court On Left Just Past The Pool. Will Need To Make U-Turn Just Past Tarpon Bay Court, Then Back To Tarpon Bay Court And Make Right.